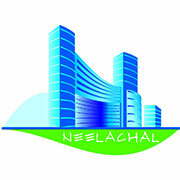 Neelachal builders private limited has come a long way to symbolize commitment, distinction and professional excellence by meeting the stringent, demanding and extra ordinary work requirements of high engineering, national and international importance involving civil, electrical and mechanical works for the last 15 years. For almost the last 15 years, we’ve gone about punctuating the skyline with our structures. While they all go by different names, the one thing that’s constant is the name on the marquee and the promise of an incredible life that it brings. Every space we have created over the years has involved meticulous planning and careful detailing which we continue to do even today. Nbl name has become synonymous with quality standards in constructions and has achieved a reputation as a reliable construction company in orissa. Dependability is the hall mark of any establishment. As such nbl core management has a foundation based of dedicated and professionally qualifies engineers who have gained vast and varies experience in the construction industry by delivering a number of prestigious projects. The ever increasing efforts towards attaining better and new business ventures have exposed the company to multitude of engineering disciplines. Now it is company’s prerogative to be working in infrastructure, housing, design and environmental areas other than its strong standing in industrial projects for power, chemicals, petro chemicals, roads, motorways and buildings. Neelachal builders (p) ltd, shortly known as nbl has been contributing to the progress of activity in the building industry. It was a humble beginning with vast experience and in-depth study of the industry that nbl started its constructions activity in the state of orissa.